This Sunday I had a Skype call with Paul, and we’ve discussed a lot of things, sharing some info about our countries and visions. Paul told me a little about himself and I told him a little about myself, then we started discussing niche websites, and how much of a good idea this business is ( free time, not so hard work after all, big pay, scalable, SEO/Marketing related ). I told him that I would like to work as an SEO consultant, something similar to Brian Dean or Neil Patel, although we did discuss how they might actually have a bigger team behind their content. They might have started small, but coming up so fast with 100 000 words guides, and lots of them, is not a one man gang job. As you know from my last blog post, I picked my niche. I now also have a domain and WP set up. I will be using the same theme I always use, a very powerful customizable theme called GeneratePress which I also recommend. Tom, the developer, is awesome ! The design is not set up yet, but I will be working with a graphics designer, a friend of mine, to get a niche design ready. Content will be a priority. I decided to go with a new domain rather than an expired one, mostly because all expired ones I found were either badly named, too expensive, or spammed out. I also wanted a brand of my own, and I wanted something to cover the whole bigger niche, rather than something that would be more related to one subniche than to another. I recently finished my keywords research, and by this I mean I used LTP and Moz Keyword Difficulty trial for one month to figure out what keyword difficulty these sites have. I discussed with Paul on the Skype call how I don’t really trust the Keyword Difficulty Tool, as it can be quite misleading sometimes, and since LTP Platinum also uses the Moz API ( I think for KC too, not only for DA and PA ). Let me explain: during my research in the beginning, I bumped into a subniche of a bigger niche that did have a couple of low websites, one of them being www.nichename101.com or something similar. This site looks horrible, and I mean really hideous ! It does rank for some keywords in that subniche, but not quite on the majority of the others left in other subniches (it ranks for best product for X but not for best product for Y which makes the niche probably not worth it, although I might consider taking another look at it). Most of the other keywords would show up websites like Amazon and Alibaba or other ecommerce sites, but one particular keyword had a Keyword Difficulty of 15% which is amazingly low, I’ve never seen one so low. The website nichename101.com with low DA and over 10 years of activity, and a lot of Page Authority N/A for many ecommerce websites. Taking a closer look, I did spot that although no PA, the ecommerce pages were actually pretty well optimized in the titles and metas for these kind of products, not to mention that people recognize brands as Amazon and eBay. So my opinion is that it will be a lot harder to rank there than just 15%. On the other side, I did find a lot of other 45% Keyword Difficulty that had 3-4 niches sites with quite spammy links or maybe not many links at all, DA under 30 and age perhaps up to 3 years. In my opinion, is a much better sign if you find a couple or more low DA sites that are ranking well among bigger sites that are not that well optimized for the keywords. I would avoid Amazon eBay Alibaba and any other ecommerce websites. Low PA forum pages, Yahoo! questions and maybe even Quora questions are good signs that it might be easier to rank. But don’t get me wrong, the Moz tool is awesome, and mostly the keywords I found pleasing to me did match a Keyword Difficulty of 30 – 25 or less. I just think you can simply figure that out by looking to the first page result and using the Moz DA Toolbar, and maybe Ahrefs to figure out how well those sites are building links. If you’re doing this massively, tools like this and LTP Platinum will save up a lot of time. My biggest problem now is that the whole website covers around 3 big subniches, each with many small products/topics, maybe even 30-50 each including different types of products and different types of usage. So I could write about well over 100-150 subniches, as well as one bigger general one, with lots of different interesting topics. Categorizing keywords won’t be such a struggle, but deciding where to start will be. I could just start with the easiest competition subniche as Perrin mentioned in one of his coaching calls, but then the content won’t really match the site, so I first want to cover a little bit of each 3 big topics, and then focus on them one at a time, 30% first one, 30% second one, 30% third one, till I cover 100% of topics, and then just continue blogging, maybe start hiring writers. By the end of this week I’ll have these categories and subcategories set up, and place 5-10 keyword in each of them. I will then create a schedule, just to know exactly when I will write/post content. Writing 300 words each day will get you over 100 000 words in a year, which is pretty much an authority website. It’s not that hard to do 300 per day, but I’ll be probably doing something like 3 articles of 1000 words each week after I get some heavier 2-3000 words pillar articles ready. I still have to watch some of the videos on NichePursuits about content strategy, I lacked the time. If you’re a veteran of Internet Marketing it would be a shock for me to find out that you’ve never heard of Neil Patel. Neil is a very successful entrepreneur. He started two very large online companies, Crazy Egg and Kiss Metrics. But what really matters to us is that he also built his business blogging on Quicksprout.com. Neil has been sharing the best info about all types of marketing, and has been recognized to be one of the top 100 most influential marketers in the USA. But enough of the fancy stuff. Neil knows his stuff really well, but he is in fact a very funny guy. My only problem with Neil is that I’m already in an information overload, and I unfortunately have to stop reading most of his blog posts, because it takes me too long to understand them. But I definitely never miss a headline, and I’ll tell you why. I’m being very honest right now, the past 6 months I’ve really started to take action, and bumped into a couple of problems. It’s like Neil has been reading my mind all along, sending me on the spot emails with the solution to my problems right when I needed them. He is the only marketer that really knows his clients and audience. I feel like most of the e-mails he sends are specifically for me. He really shares everything he knows. From Facebook marketing and PPC, to how to start your own blog, basically what you really have to do is just observe what Neil is doing and simply merge it with your own personality, thoughts, ideas, and niches. His guides are so big, that this blog post of mine would sound like just a simple sentence on one of his posts. Neil is definitely one of my idols in the marketing world, and when I will make a top list of people who you should follow to succeed in the marketing world, he will definitely make it to the top spots. Hello everyone. My name is Adrian. For years I have been dreaming about starting a blog of my own in the Internet Marketing niche. Many things have been in my way, but I do not want to blame anything else other than my own fears and apprehensions. I’m over them. Now is the time to get started. This will not be a blog only about how much money I make online, nor only about how someone else can do so. The purpose of this blog is to help others overcome their fears, stop them from procrastinating, and also help them avoid doing the same mistakes I’ve done. It’s a blog about enthusiasm, addopting a “can do” attitude, and taking action. SEO 2015+ is more or less about good marketing and networking, so I will be covering these subjects too. I’m not really sure how this is going to go, as of what will I write, how will I write, or how will I be original, but I’m willing to hit the wall face front. As for my expertise… For the past 4 years I’ve been learning everything I could about SEO and IM all by myself, and this year I’ve started slowly applying it. 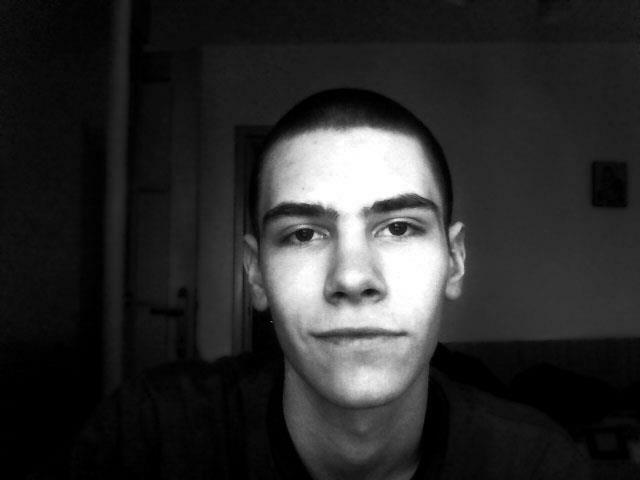 One thing led to another, and I now work as an in-house SEO at one of the biggest e-commerce companies here in Romania. I don’t make a fortune, actually, I laughed hard at one of Neil’s blog posts on The Search Engine Journal where he mentioned that the avarage yearly SEO salary is about $76000 as of Indeed.com. I roughly make $150 each month, part time, but that’s good for me, and I am very grateful that I have the opportunity to work with this amazing team and gain some experience. The reason I’m working part time is because I’m also caught up in many other online projects, but mainly because of my music studies, which I highly intend to finish. 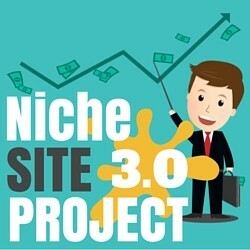 As some of you probably know already, I have applied for Niche Site Project 3.0 over at NichePursuits.com. For those of you who don’t know what Niche Pursuits or Niche Site Project (NSP) is, I will make a brief introduction here. NichePursuits is a website owned by Spencer Haws (the little man in the image, ain’t he cute?). Some years ago, Spencer learned how to create small websites on different market niches, and sell specific products on those websites to earn affiliate commissions. He then started a blog of his own, and publicly shared how he build a niche website step by step. The most important part was ranking it high in the search engines. The blog took off, and we’re now at number 3. In-between these projects, Spencer shared a lot of other useful content, and about 15% of everything I know comes from this site. That is a huge amount, considering the information overload bombarding us these days. This is my application video for NSP3. Like this post, the video above is the first video I ever shot. It took me quite some time. I think I had about 45 minutes of bloopers taped, but eventually I was satisfied with it. Notice how after the first half I start talking faster to be able to get it under 3 minutes. After I sent the video to a friend of mine for a review, he only said “Dude ! That fridge ! LoL !”. So I found that satisfying as well, and I posted the video. I am very grateful to be able to apply for this project, and hopefully, I will be able to work closely with one of the 3 niche site building masters, Spencer, and his two employees, Perrin and Jake. I sure do hope I win this competition !